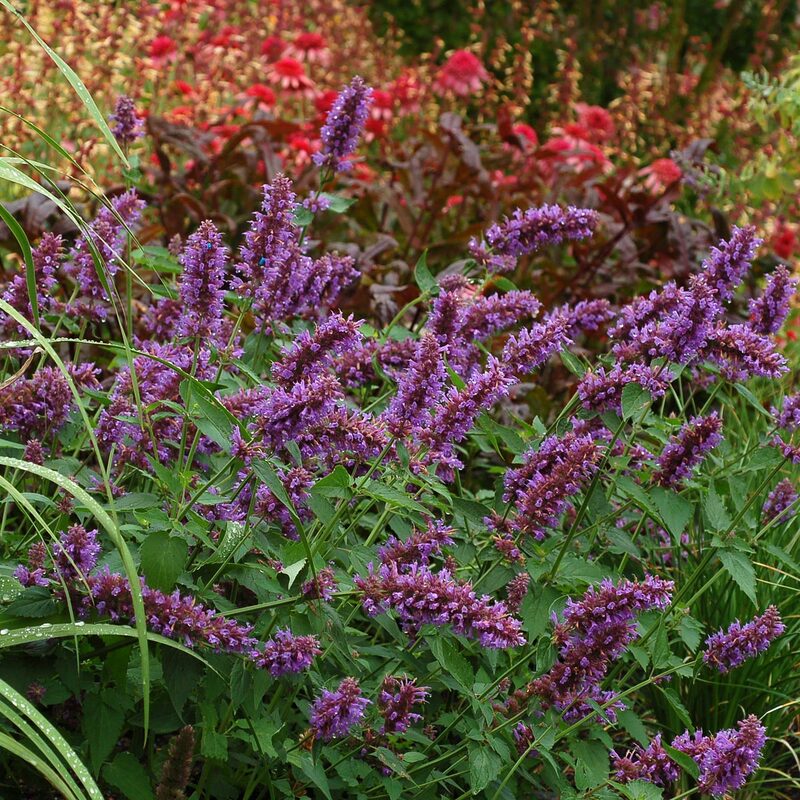 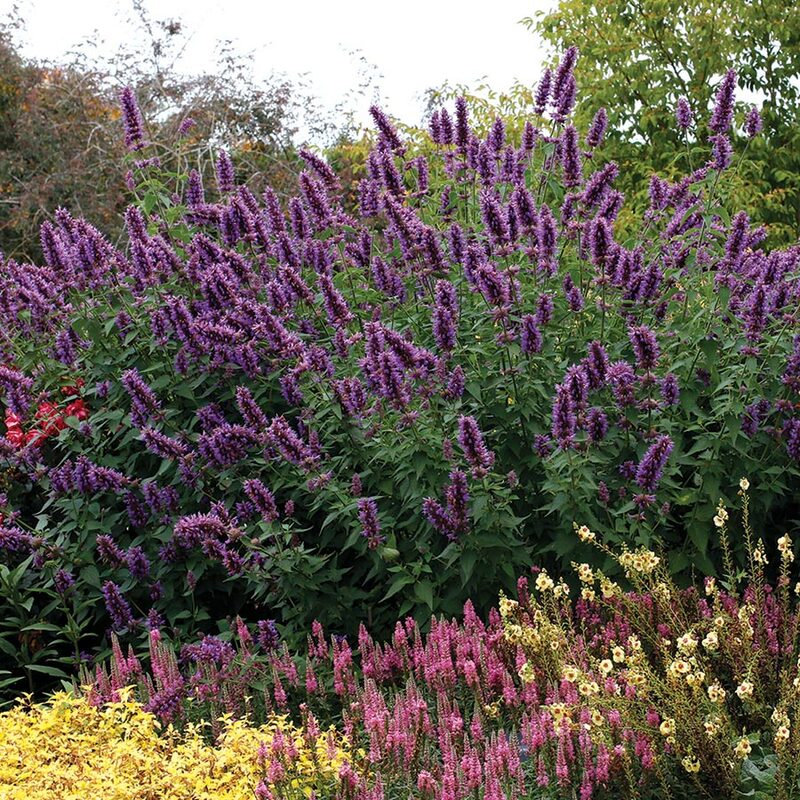 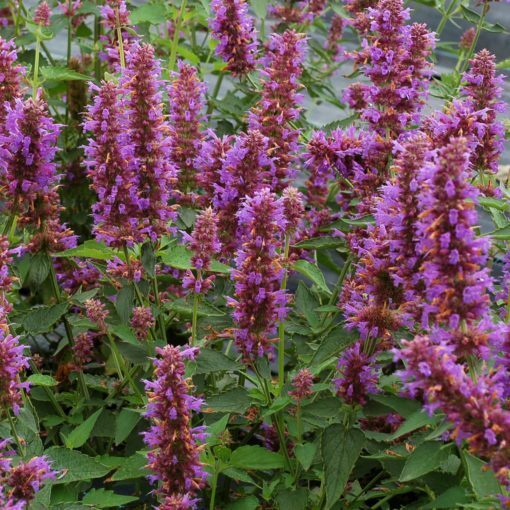 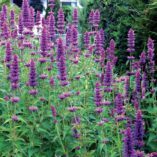 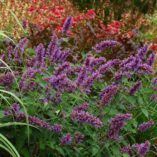 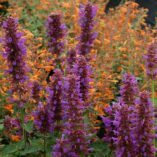 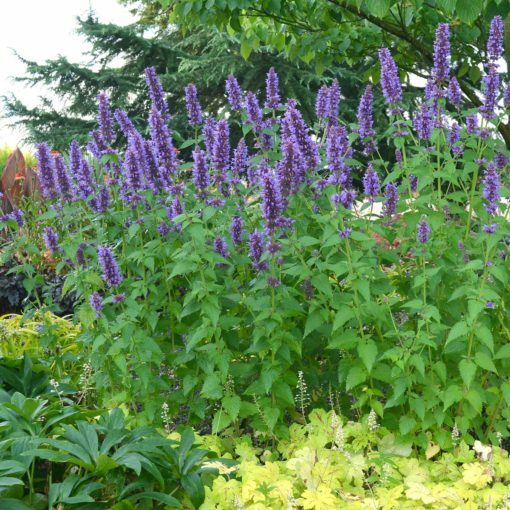 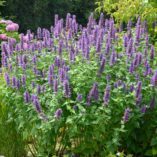 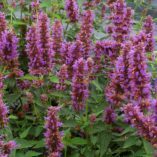 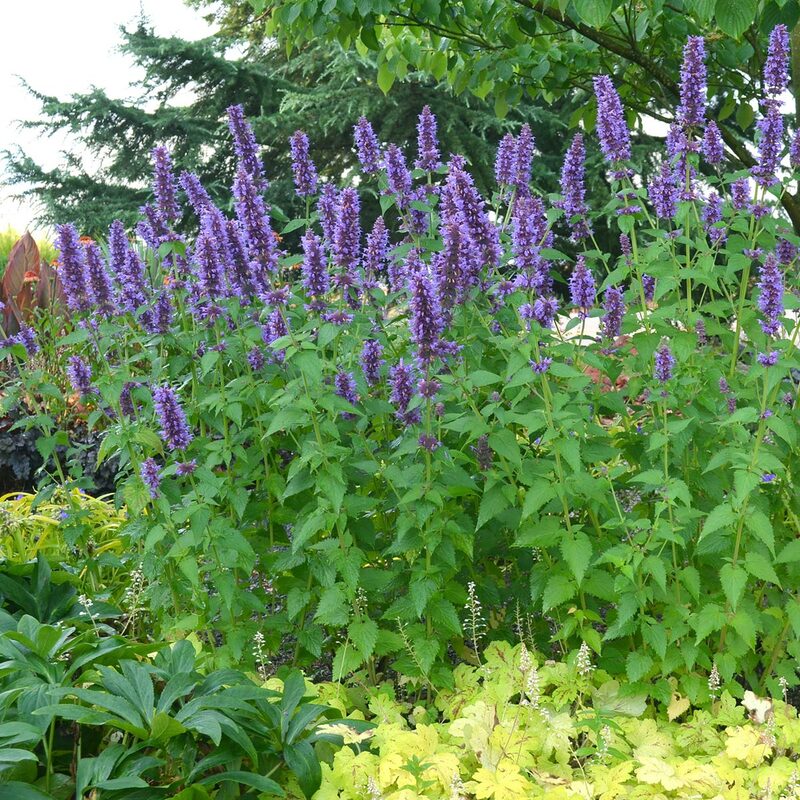 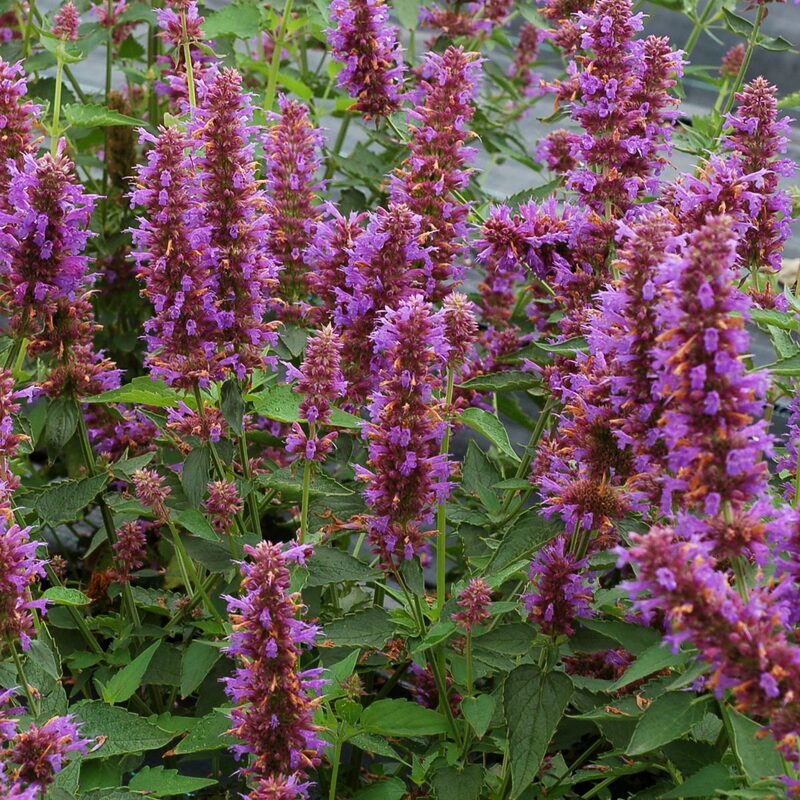 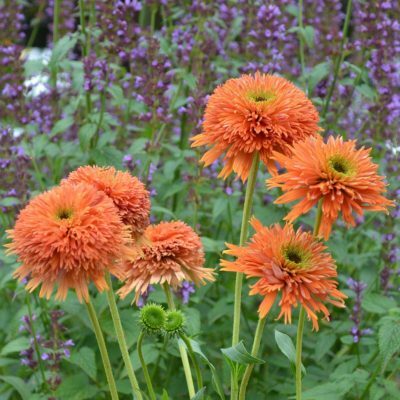 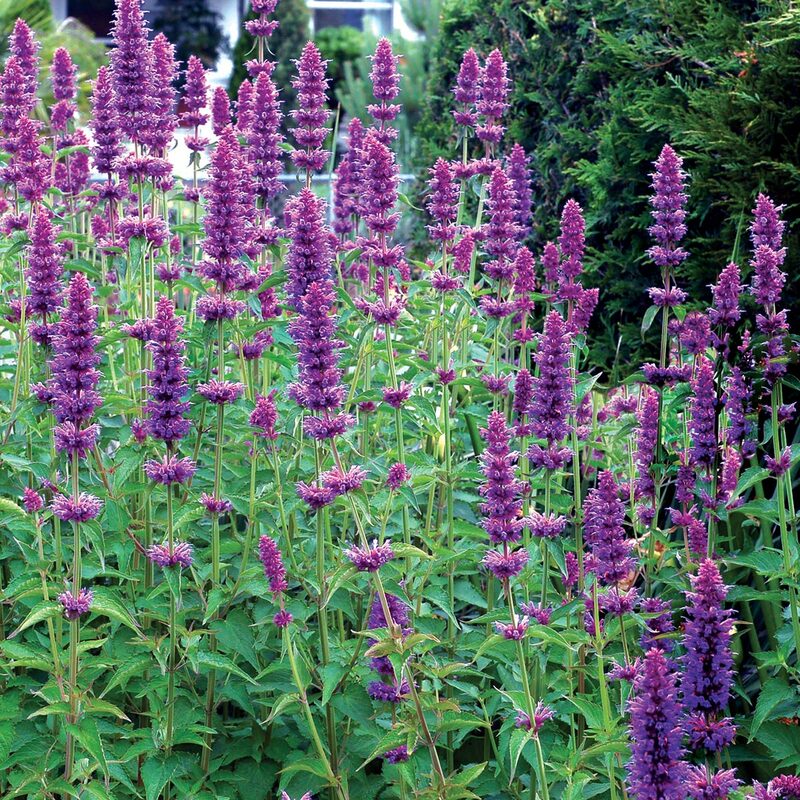 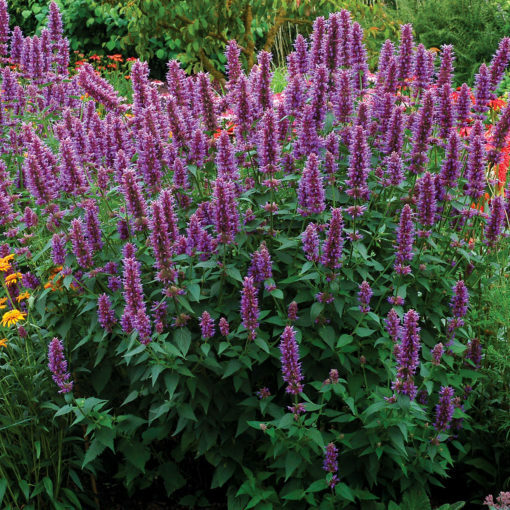 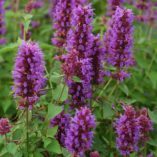 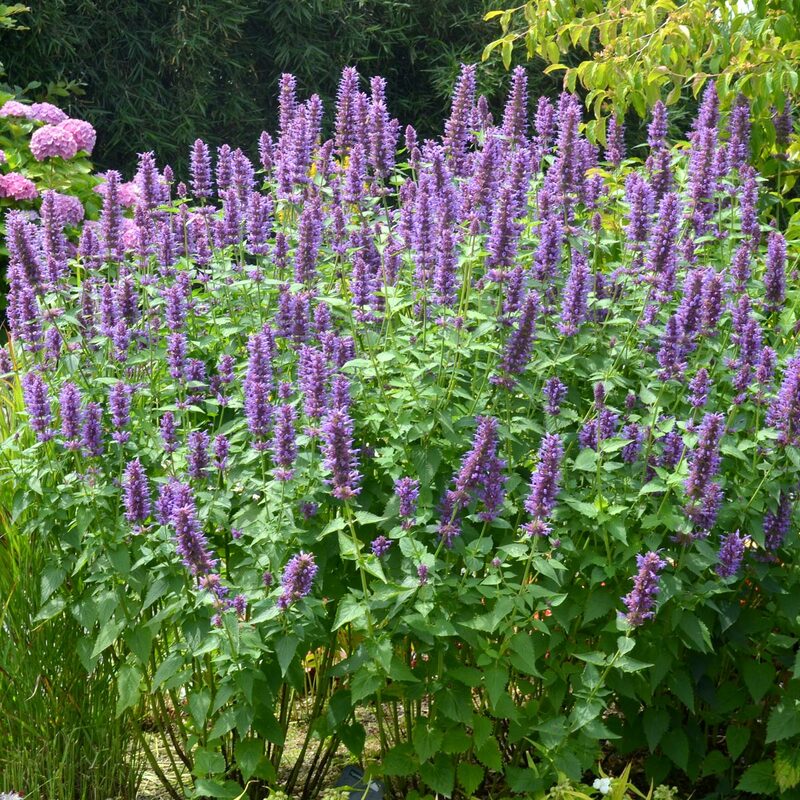 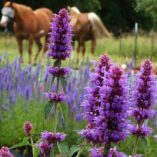 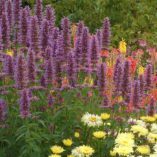 Agastache ‘Blue Boa’ | TERRA NOVA® Nurseries, Inc. 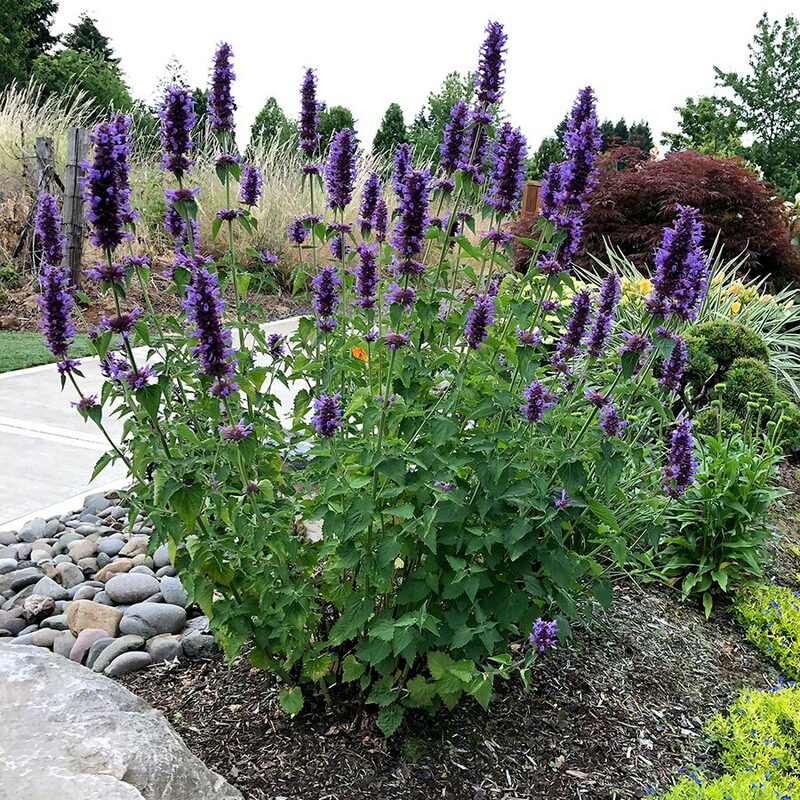 Unlike any other Agastache, this beauty produces luxurious, deep violet-blue flower spikes held over ultra-green foliage. The flower spikes are long, wide and extremely showy. 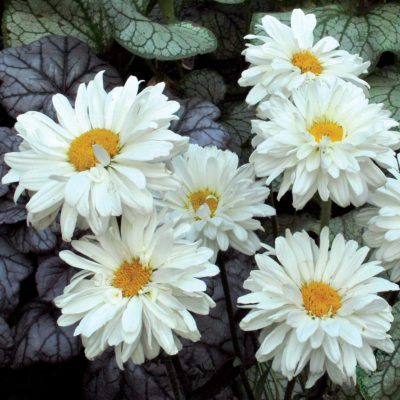 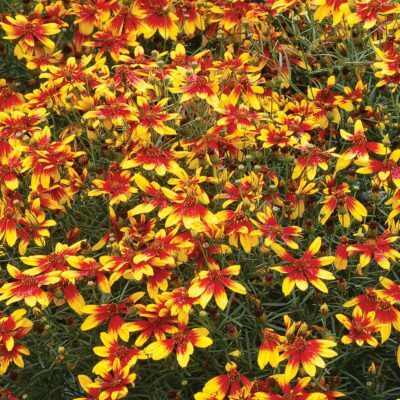 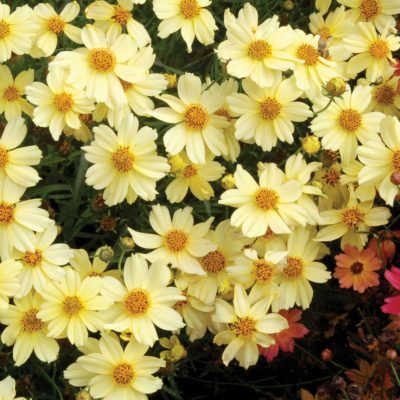 It's a great perennial color spot for summer bloom. 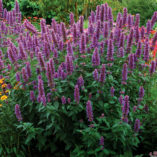 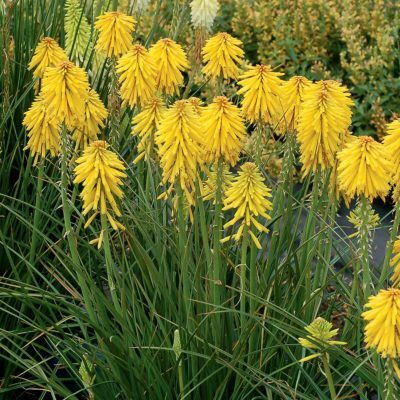 It’s drought tolerant once established and attracts hummingbirds as well as butterflies and bees. Won the “Too Good to Wait Performer” award at the 2013 Colorado State Perennial Trials. 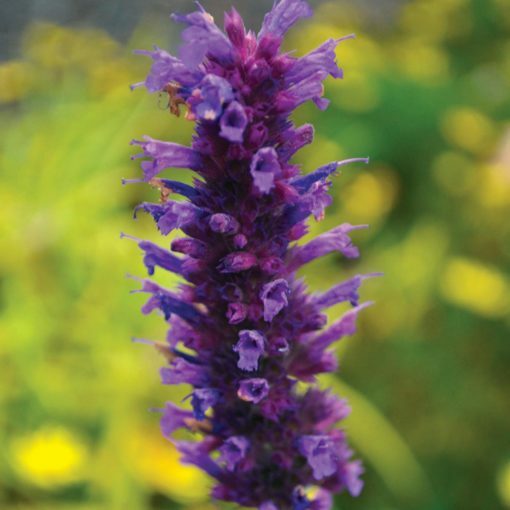 Compared to 'Blue Fortune', 'Blue Boa' has deeper violet blue flowers and wider flower spikes. 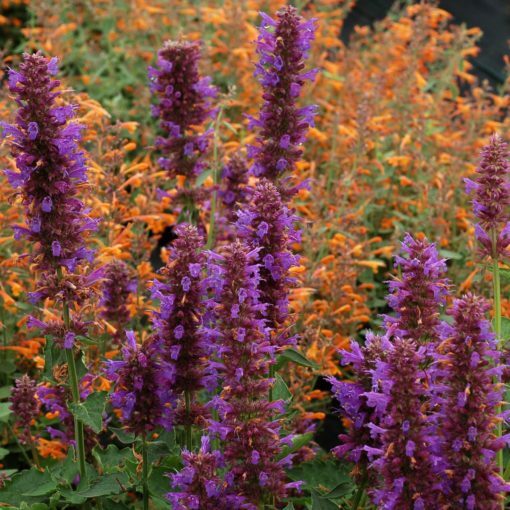 Won the first "Too Good to Wait Performer" award at the 2013 Colorado State Perennial Trials and the "Top Performer" award in 2014. 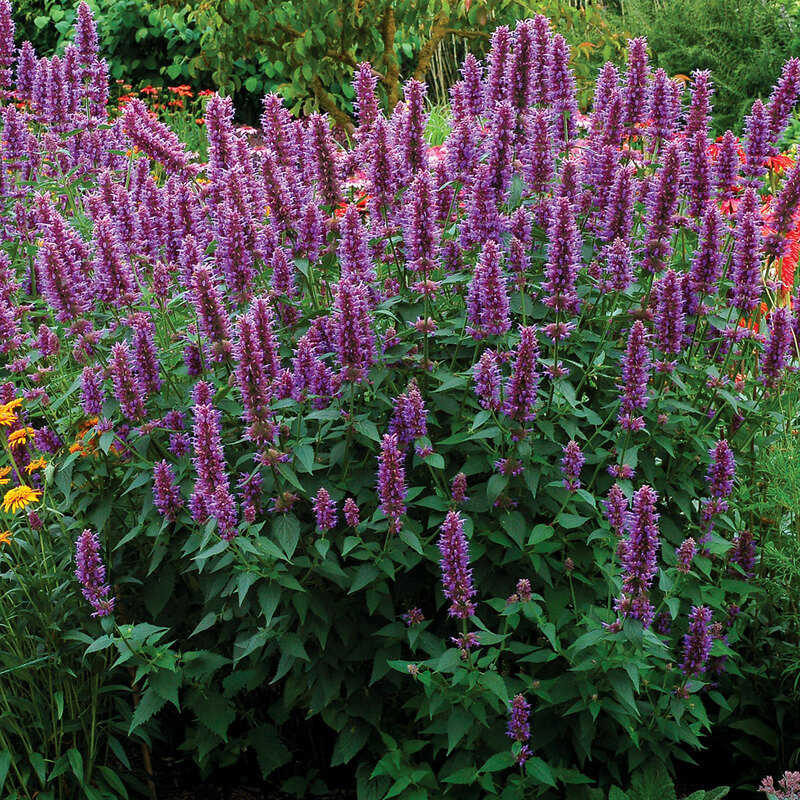 The favorite Agastache in the 2012 trials at Ohio State University. 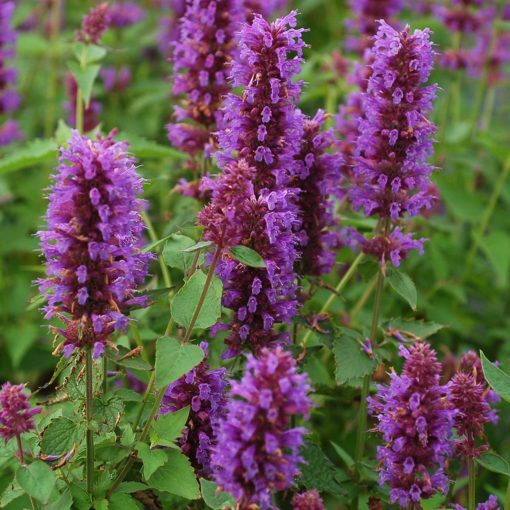 "Favorite Agastache; very floriferous all season".